Upon reviewing last month’s credit card statement, you nearly have a heart attack. Clothes, video games, electronics…all charged to your account. You realize it wasn’t you who made the purchases…it was your child. After a few deep breaths, you explain your discovery to your husband. Furious, he insists on teaching your son a lesson by taking away all his privileges – for a very long time. You disagree, knowing that extreme consequences won’t fix the problem. How can you get on the same page and parent as a team? 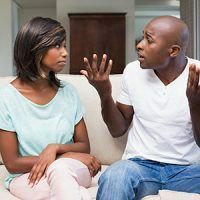 Disagreeing with your partner can be heart-wrenching. You both want the best for your child, yet coming together as a team feels like a problem in and of itself. We hear from many parents in this position. When two people grow up in different families with different values, they’re bound to disagree! 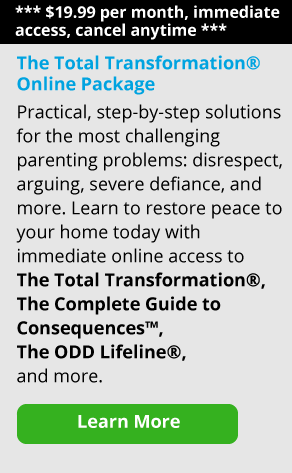 If you find yourself in a parenting disagreement, take some time to discuss where you do agree – your common ground. The same goes for disagreements with a sister, grandparent, in-law, etc. Anyone working together to raise kids are bound to have differing opinions, but the end goal is the same: to prepare your child to be a successful adult. In this example, the parents may agree that stealing is not okay and needs to be addressed. As an extra precaution, they may agree to hide their valuables to prevent future theft. In some cases, you may have to agree to disagree, find some sort of compromise or let one of you take the lead this time – and that’s okay. In the end, it isn’t about being “right” or “wrong.” It’s about trying to figure out the next step together. Have additional questions? Check out When Parents Disagree: 10 Ways to Parent as a Team. Stay strong – we’re here to help support and guide you!